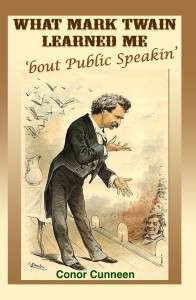 What Mark Twain Learned Me ’bout Public Speakin’ provides wit and wisdom from the great man to help you craft better speeches and presentations. 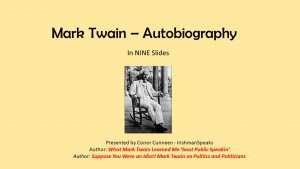 The book provides NINE lessons based on the speeches, writings and public performances of Mark Twain that will help you connect better with your audience. NINE lessons that just happen to spell the acronym MARK TWAIN! Suppose You Were an Idiot! 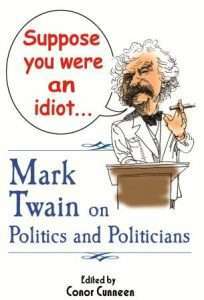 Mark Twain on Politics and Politicians showcases the humor and acerbic wit of the man who was born Samuel Langhorne Clemens.